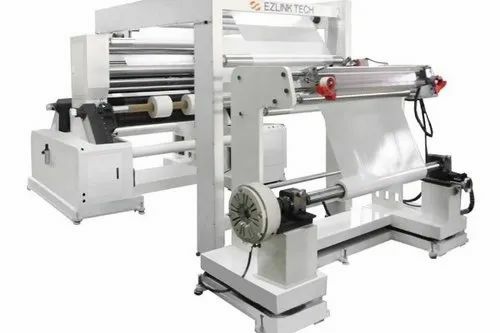 With the years of experience and vast knowledge, we are involved in dealing Surface Winding Slitting Machine. Incorporated in the year 2011, we “Shree Khodiyar Engineering” are leading manufacturer and supplier of qualitative assortment of Wrapping Machine, Sealer Machine, Doctoring Machine, Slitting Machine, Six Colour Rotogravure Printing Machine, Lamination And Coating Machine, etc. Under the headship of our Proprietor, “Mr. Manu Thakor”, we have been able to achieve maximum client satisfaction. Our machine range is widely applicable in industries like Food Packaging, Food Processing, Pharmaceutical, Soft Drink & beverages, FMCG, etc. Situated at Ahmedabad (Gujarat, India), we have constructed a state-of-the-art infrastructural base that is resourced with modern production technology. This base assists our professionals to manufacture complete range of machine in adherence to international quality standards. Our infrastructural base comprises various departments such as procurement, production, quality testing, R & D, sales & marketing and warehousing & packaging. All these departments work in organized manner to maintain streamline production. Besides, we also provide installation and maintenance services for offered machine range.